← Ashland Community Dance – Saturday, June 1st, 6:30 p.m.
We have another calling party coming up on Tuesday, May 21. Our new callers are getting ready for their debut at the next Columbia dance on May 31, and they invite you to help them perfect their skills by dancing as they call at the calling party. You’ll also get to preview the dances they’ll be calling on the 31st. It’s like getting two dances for one price. Members of River Ridge String Band will provide the music. 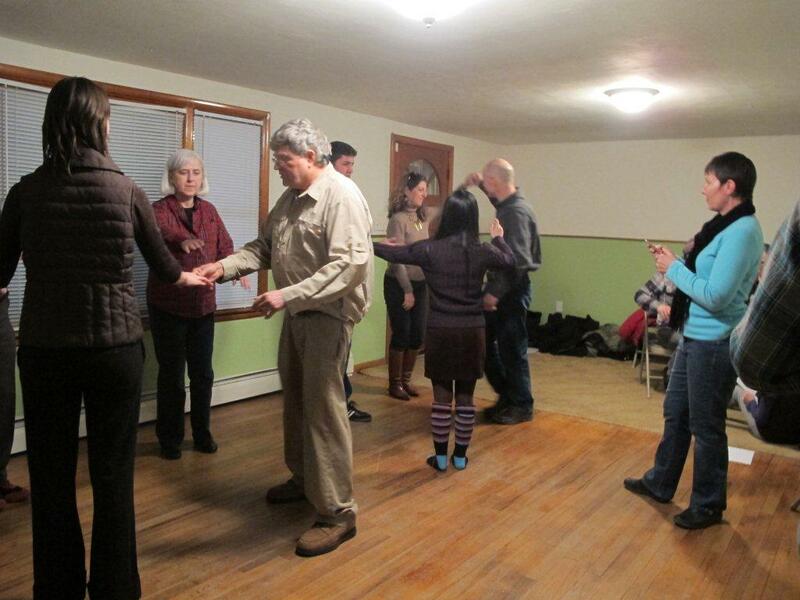 This entry was posted in Callers Jam, Contra Dances, Square Dance. Bookmark the permalink.